The benchmark Sensex declined as much as 500 point intra-day on Monday after the sell-off on Wall Street extended to other global markets. US markets ended last week with 2 per cent losses after a bond market indicator signalled recession amid weak economic data from Europe. Almost all Asian and European equities fell on Monday, led by the Japanese market, which declined 3 per cent. Losses in the domestic markets were relatively subdued with the Sensex and the Nifty ending 0.9 per cent lower. The Sensex slipped 355 points to end at 37,808.91, while the Nifty50 lost 103 points to close at 11,354. 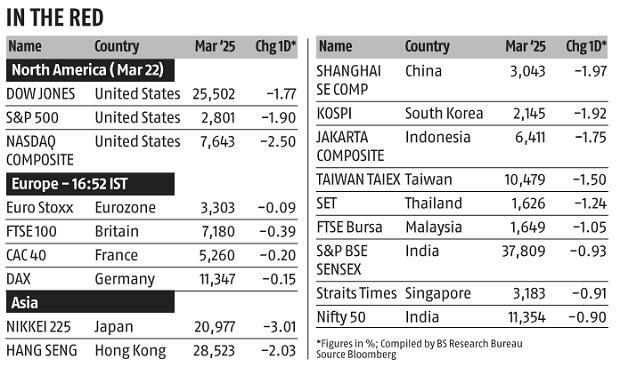 Foreign institutional investors (FIIs) applied brakes to their buying amid the global risk-off sentiment. They were net buyers to the tune of Rs 150 crore. So far this month, they have pumped in Rs 28,000 crore at a daily average of Rs 2,000 crore, lifting the benchmark indices by over 5 per cent. The yield on the 10-year US Treasury declined to 2.44 per cent Friday, its lowest level since January 2018. Meanwhile, the yield on the three-month Treasury bills stood at 2.45 per cent, leading to an inversion in the curve for the first time since 2007. Economists believe such a trend is a precursor to recession. While so far investors were cheering the softening of the US bond yields, the latest trend stoked fears of a slowdown in global growth. Moreover, the weak manufacturing data across the eurozone further spooked investors. Barring six, all Sensex components ended with losses, led by metal and banking stocks. Vedanta fell the most at 3.3 per cent. Tata Motors, YES Bank, Mahindra & Mahindra and ICICI Bank declined more than 2 per cent each. Meanwhile, shares of ONGC rose 3.9 per cent, the most among Sensex components. Coal India, Powergrid and NTPC rose 2.1 per cent, 1.6 per cent and 1.2 per cent, respectively. Experts said the rally in PSU stocks was on the back of short-covering. “It has been six years since earnings pick up happened in our country and thus, the equities rally in India does look stretched. 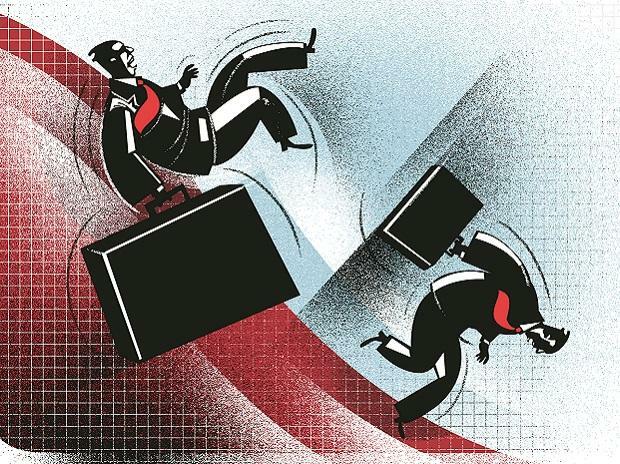 Investors should be cautious and buy high-quality capital allocators with strong franchises,” said Mukherjea.